Home Travel 10 Best Kept Secrets of North Kerala! Kerala tourism is mostly confined to the Southern parts of the state. When one talks about the tourist places in Kerala, most of the time they are referring to South Kerala. Being very beautiful and blessed with many fine qualities of nature, South Kerala has somehow overshadowed their equally beautiful Northern counterpart. And somehow this has helped North Kerala remain pristine and conserve its heritage, over the years. From the mesmerizing Kerala backwaters to virgin beaches and from the evergreen forests to the verdant hills; this part of the state has it all! Simply stating: there is no shortage of beauty or tourist opportunities in North Kerala. So, today we bring you some of the must-visit destinations in North Kerala, and also introduce you to our Mesmerizing Kerala tour package. 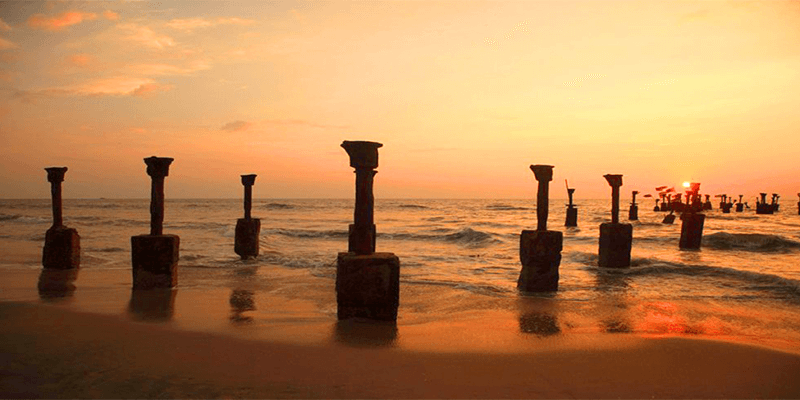 Among the numerous beaches in Kerala, Kozhikode Beach and Beypore Beach are the most popular and frequented ones. Kozhikode Beach is a bustling place with loads of activities available on the beachfront. You can find a lot of quality eateries and walkways along the beach which enables the tourists to spend a perfect evening here. Beypore Beach, around 15 km from Kozhikode, is a bit laid back and tranquil. It is one of the best Kerala destinations to watch sunset. As this beach does not receive much of a tourist footfall, hence the tourists are recommended not to stay late after sunset. Beware: Swimming at the Beypore Beach is not a good idea as the waters suddenly get deep nearby the beach increasing chances of accidents. Thusharagiri Falls is among the rare places in North Kerala that receive a high tourist footfall. Situated some 50 KM away from Kozhikode, Thusharagiri Falls is a collection of three cascading waterfalls. The three waterfalls are named as Frattumukku, Mazhavil and Thumbithullumpara waterfalls. Watching these three waterfalls from a good vantage point is a memorable experience. 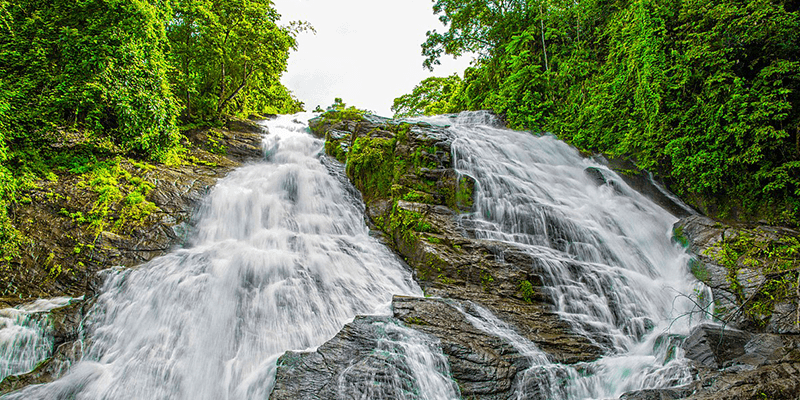 These waterfalls are also popular among the adventure junkies, as there is plenty of scopes for rock climbing, trekking, wildlife spotting etc. 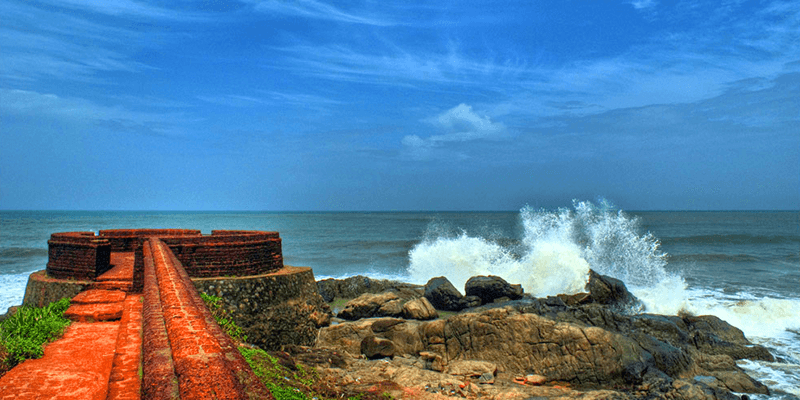 With the Arabian Sea spread beautifully on one side of the Bekal fort, this is a quaint little place that gives you a panoramic view of coastal Kerala. The fort was strategically constructed in the 17th century, overlooking the sea to protect the area from enemy invasions. Kudos to the people maintaining this fort, as its architecture and all the finer aspects have been preserved really well. 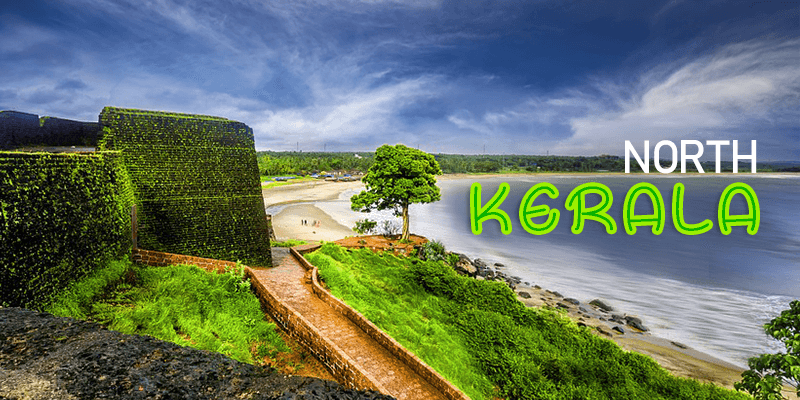 Set against a lush background and overlooking the seas, Bekal Fort is gradually developing into one of the most beautiful Kerala points of interest. Watching a sunset from the ramparts of this fort should definitely be in your travel bucket-list. If you thought Alleppey was the only place to visit for a memorable Kerala backwaters experience, then you are wrong. Situated nearby the Bekal Fort, the Valiyaparamba backwaters are equally stunning and less crowded. The emerald blue water of the backwaters, the lush green paddy fields, and rows of coconut groves are a perfect combination to soothe the senses. 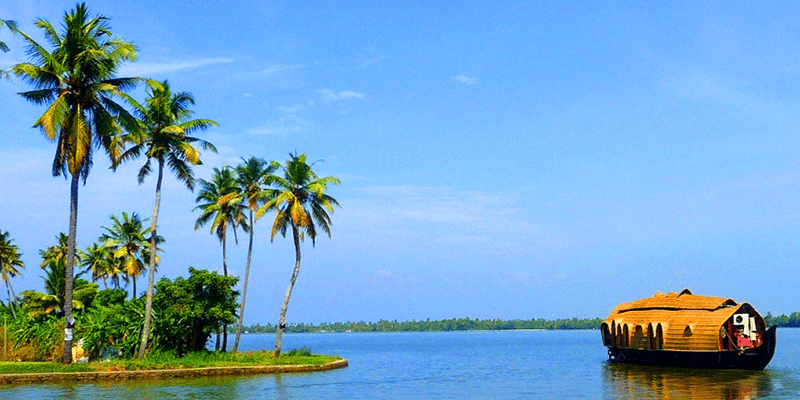 There are many small islets along the backwaters, which enhance the beauty of your rides. Chembra Peak is one of the most popular hiking trails in Wayanad. It is the highest peak in Wayanad and hence offers a spectacular view from the hilltop. The peak is visible from all parts of the district and is a paradise for adventure lovers. 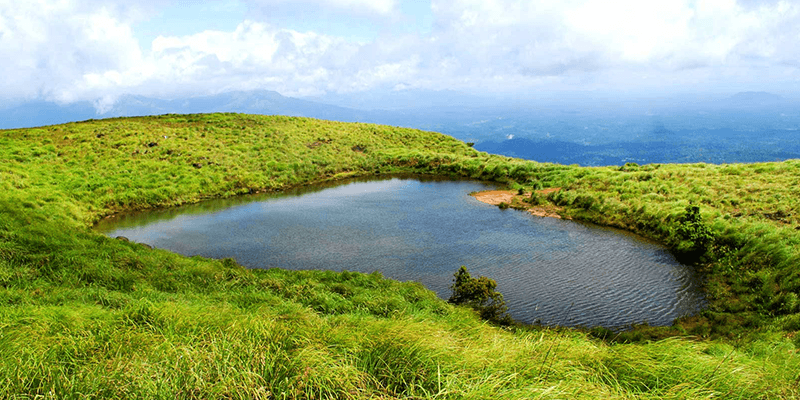 As you climb up the peak, you come across a heart shaped lake, which is known as ‘Hridayathadakam’. 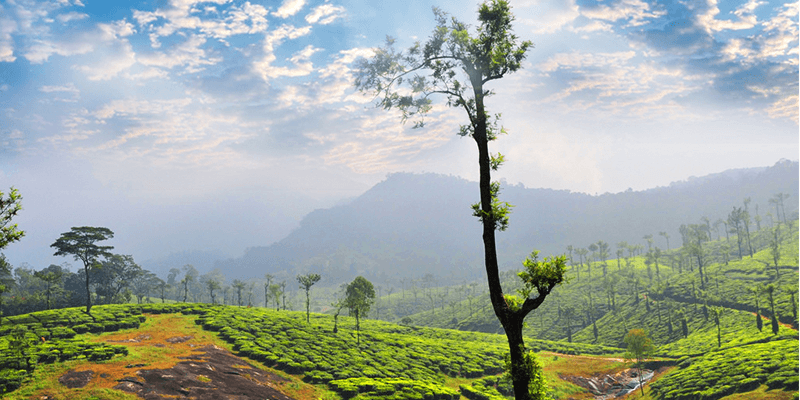 This place can be described truly as the heart of the Nilgiris. 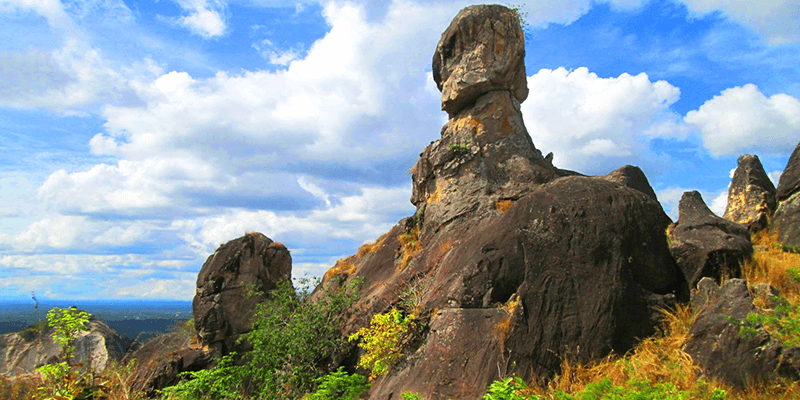 Edakkal Caves attracts a lot of tourists round the year because of its historical significance. The caves, to this date, preserve the carvings of the Mesolithic era. If you are visiting with an elderly person, the ascent might get difficult as there is a lot of walking and climbing involved from the foothills of the Ambukutty Hills to reach the Edakkal Caves. Banasura Dam is one of the upcoming tourist places in Kerala. This is the largest earthen dam in India and is situated amidst a scenic landscape. 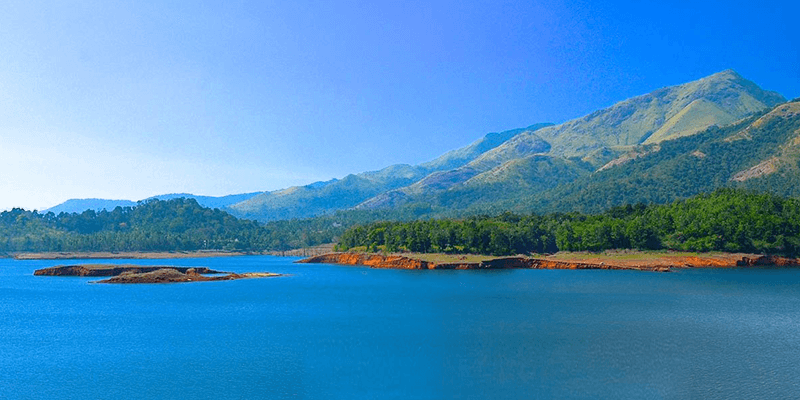 There are some islands and forests in the area that enhance the beauty of Banasura Dam. However, if you really want a treat for your eyes trek to the top of the dam and catch the awesome sight of the valley underneath. While at the dam you should also take a ride on the speed boats and explore the beautiful surroundings of the dam. The lush green hill view with unique rock formations at the backdrop makes Banasura Dam such an awesome destination. If you are a nature lover and a wildlife enthusiast, this is the place where you would want to be. 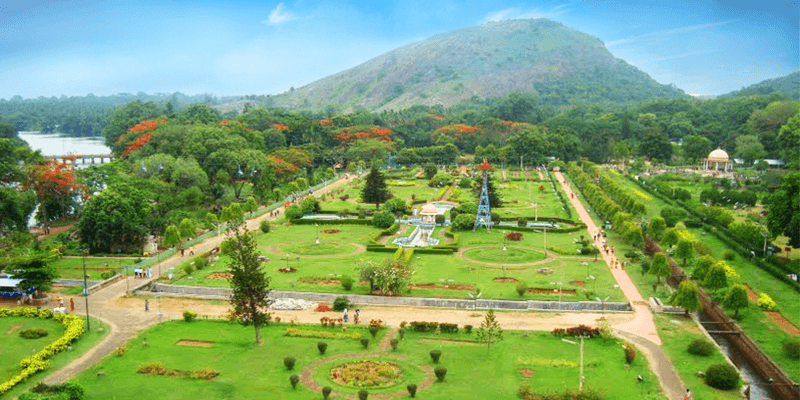 Silent Valley, declared as a National Park, is home to the most evergreen forests and also to some of the rarest fauna on Earth including the Lion Tailed Macaques and the Nilgiri Thar. 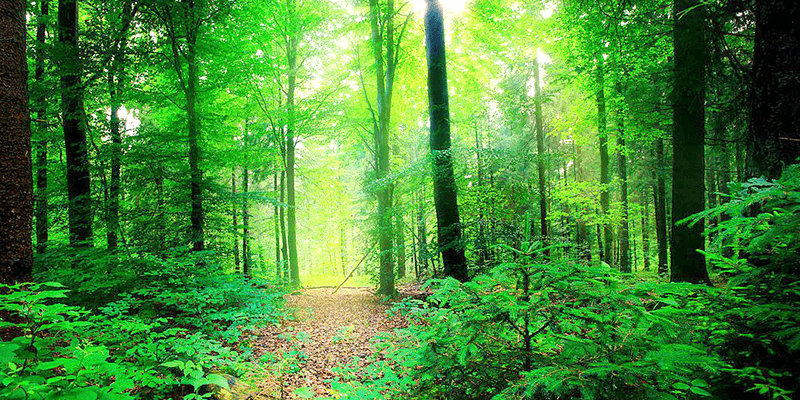 These dense forests, stretched across more than 200 square KM, got its name from the eerie silence that pertains here. As there is absolutely no sound here, so you can enjoy the rarest calls of nature, sounds you must not have experienced before! Located about 60 KM away from Palakkad, the road to Nelliyampathy Hills is a traveler’s delight as it provides infinite greenery all the way along! As you move up the hill, you will keep spotting vast stretches of land covered with irrigation farms, majority of which forms a part of the Palakkad district. Some part of the hills is also covered extensively with tea estates, coffee estates and plantations which enhance the experience manifold. There are several viewpoints on the Nelliyampathy Hills, of which Seetharkundu and Mampara offer the most spellbinding view of the Ghats. A trip to Nelliyampathy Hills is not about reaching the destination, it is about enjoying every moment of your journey! Malampuzha Garden is a curious piece of work! The entire garden has been constructed with rock cut formations. Recycling has taken a whole new meaning here, as the gardens have been made with broken pieces of bangles, tiles, used plastic cans, tins and other waste materials! The compound also has a rope-way to provide you with a spectacular view of the garden and the dam. Entry fee: INR 10 for children and INR 25 for adults. So, the cat is out of the bag! If you want a Kerala tour with some difference and explore places that are still not too touristy then North Kerala is your answer. Do not forget to make your travel bookings in the most convenient manner with RailYatri. For a good experience is not only about the places you see, it starts right from your doorsteps! Previous article5 Unexplored valleys of Uttarakhand you have got to visit!